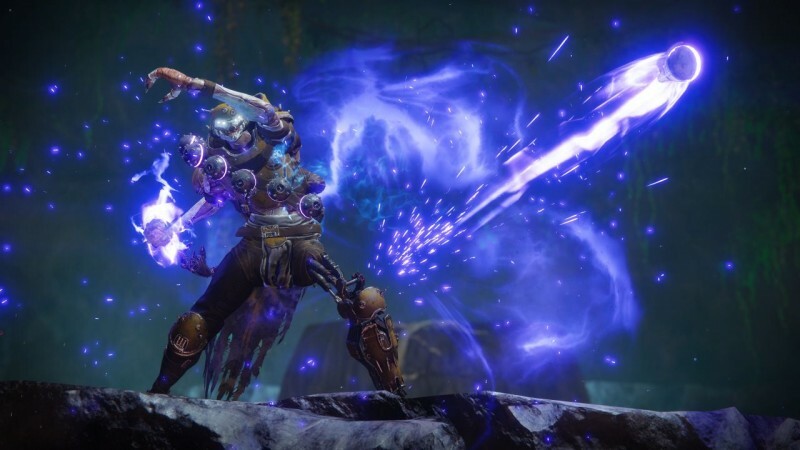 At the start of Destiny 2: Forsaken’s campaign, Uldren Sov, the Prince of the Reef, shoots Cayde-6 dead. 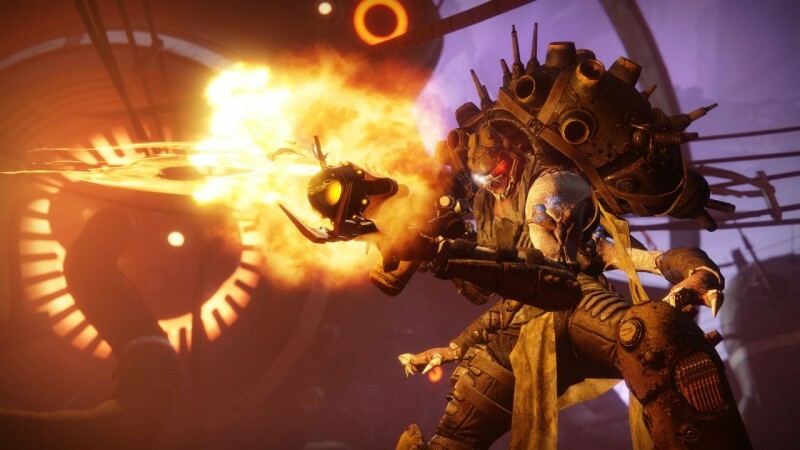 This sets him up as the main antagonist you'll be taking revenge against in Forsaken, but Cayde doesn't die by his hand alone; to pull off the feat, he has help from the Barons, a group of powerful Scorn enemies. 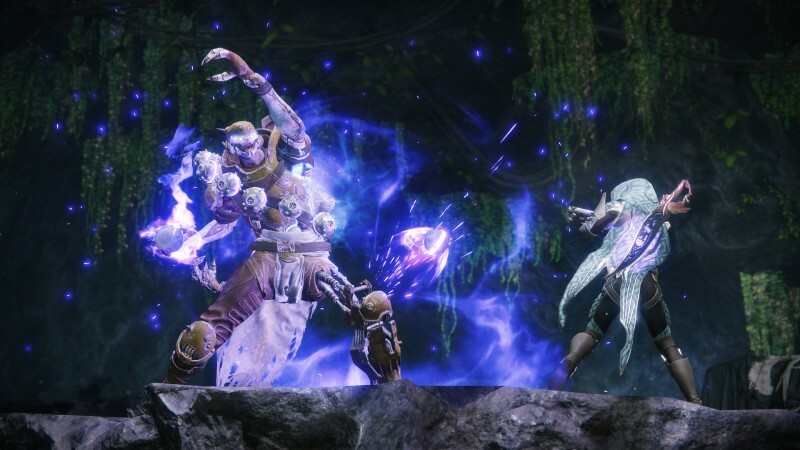 Hunting down the Barons comprises a large part of your journey the initial campaign, and each has their own story, traits, and boss encounter, making them some of Destiny 2’s most interesting foes yet. Bungie was able to give us in-depth, official info on who each of these Barons are, including their history, stats, and brief snippets of insight from Cayde himself, learned from when he had to put the Barons in their place the first time around. The Barons were once a hodgepodge of lowly Dregs, cast out from the upstart House of Exile. 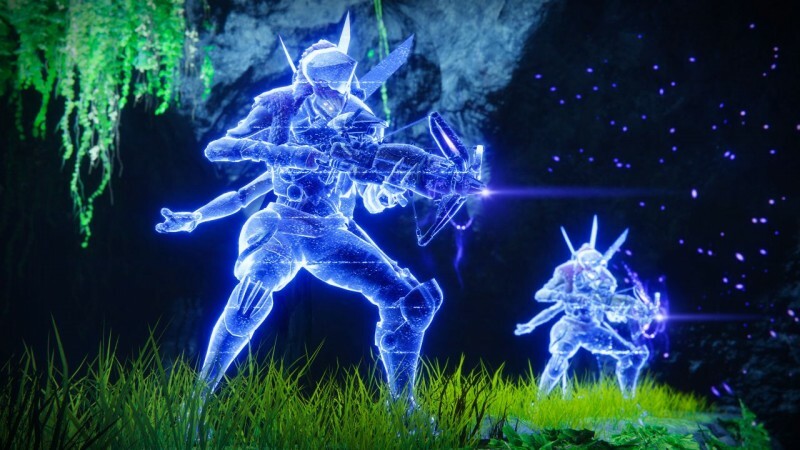 Forsaken and scorned by their own Eliksni comrades, and with no one to depend on but each other, they didn’t just survive… they thrived through ingenuity, ruthlessness, and teamwork. 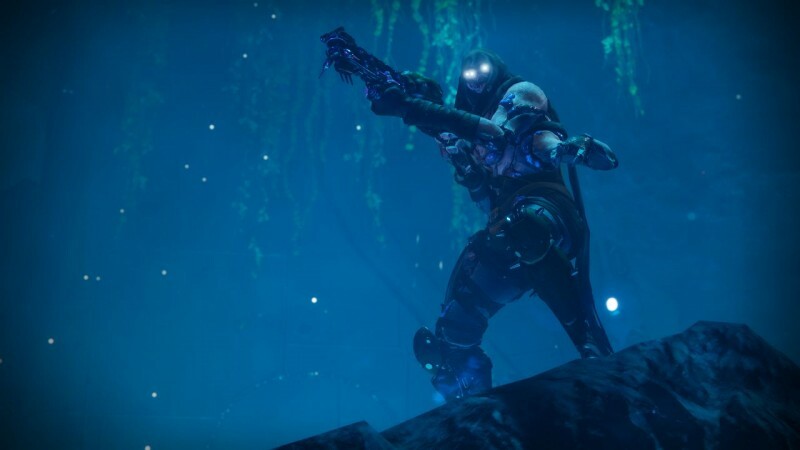 They raided their Fallen brethren’s encampments, stealing ether and growing ever stronger; they pillaged and terrorized Awoken outposts throughout the post- Taken War Reef. 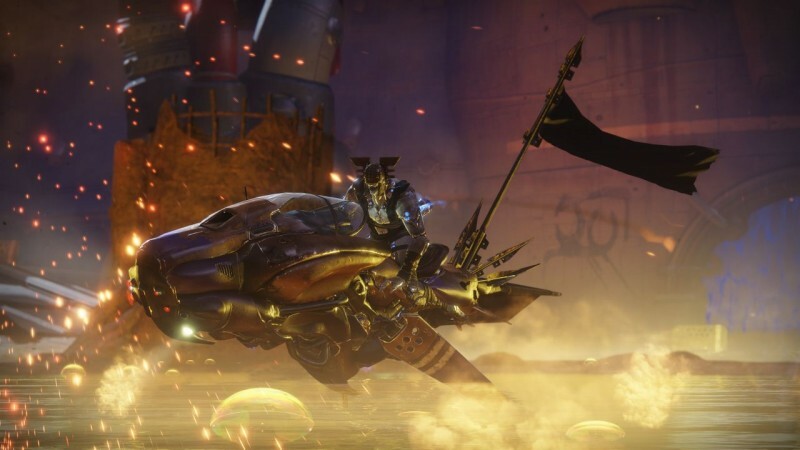 Like the “Cowboys” of Tombstone, they became the scourge of the Reef, overpowering other gangs of Fallen pirates and scavengers, and rendering the once flourishing homeland of the Awoken into a lawless frontier. 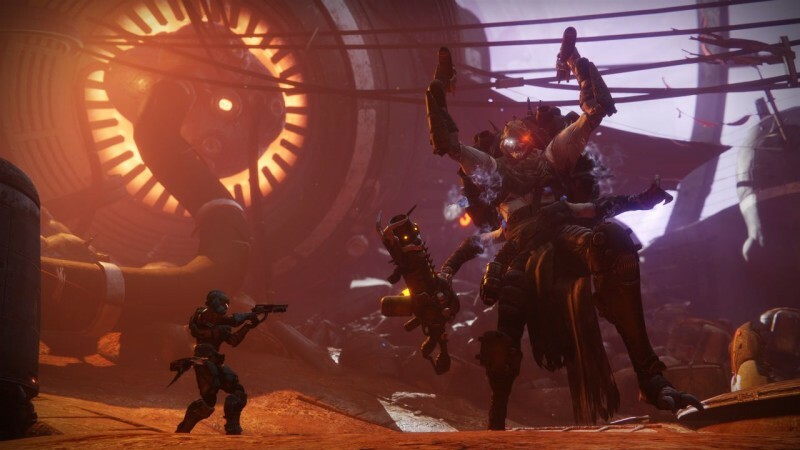 Following the Red War, the notorious Cayde-6 and a small, elite posse of his most trusted Guardians assisted Regent-Commander Petra Venj in cleaning up the Reef from the pirating of the Scorned Barons. At a stand-off as legendary as the Gunfight at the O.K. Corral, the Scorned Barons were defeated. Most were killed; but 7 of the original 8 were captured and tossed into the deepest and darkest cells of the Prison of Elders. At the time, and with no corpse found, no one knew what became of the heretical warrior-priest known as The Fanatic. 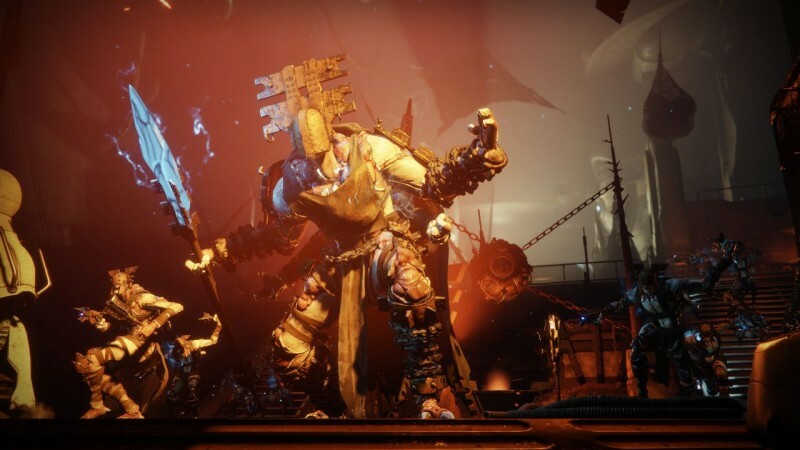 Leader of the Barons and the dark, corrupted evolution of the Eliksni known as “The Scorn.” Second only to Prince Uldren Sov, he views his Scorn as an evolution of the Fallen and the final manifestation of what they were always meant to be – eternal. 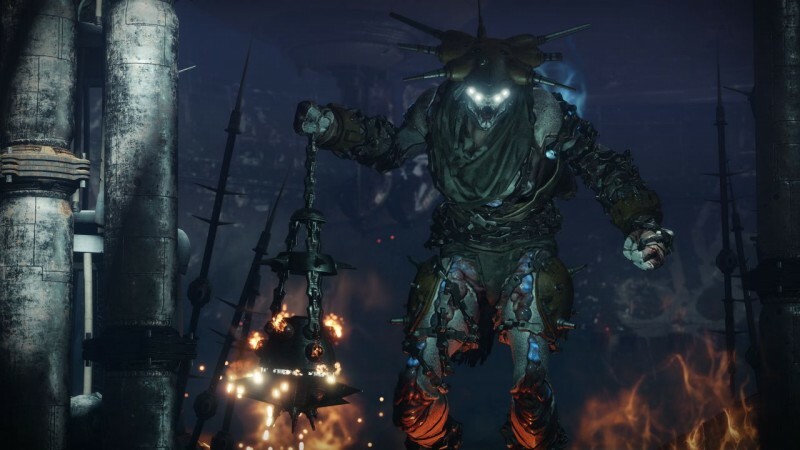 Once a prominent Archon Priest of a long-lost House, the Fanatic preached heresy to the machine-worshiping Eliksni and paid a heavy price – docking, banishment, and starved from the Fallen’s lifegiving Ether. 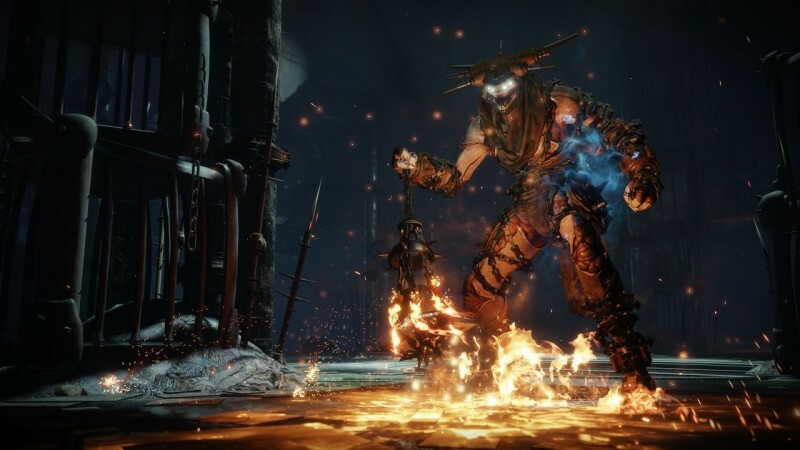 After falling in with the Barons to become their warrior-priest, he continued his anti-Great Machine evangelization and instilled in his brothers and sisters a belief that the old Eliksni must finally die, as the Whirlwind should have allowed, in order for them to rise better and stronger – and eternal. WANTED: Fragmented reports reveal a nomadic, unaffiliated Archon Priest imbued with a power akin to that found in and around the European Dead Zone. Do not engage until the depth of this power is known. "We’re all thieves. Some of us are just better at it." Second-in-command to the Fanatic and his most ardent follower. Expert in munitions, weapon-crafting, and in charge of the siege on the [REDACTED]. She’s an insatiable thief and hoarder with a terrifying arsenal. The Bandit started life with nothing. Since then, she’s hoarded just about everything she’s ever taken (other than what she shared with her fellow Barons, of course). Second-in-command to the Fanatic, she’s a scourge of cis-Jovian and cis-Martian space, raiding ships and encampments and making off with any operational weaponry. WANTED: Ordnance master of the Scorned Barons, Elykris is a scourge to any ship that crosses beyond terrestrial space. Outstanding bounties remain for her role leading the Barons in the Siege of Arran and the heists that took place in the aftermath of the Solis Descent. 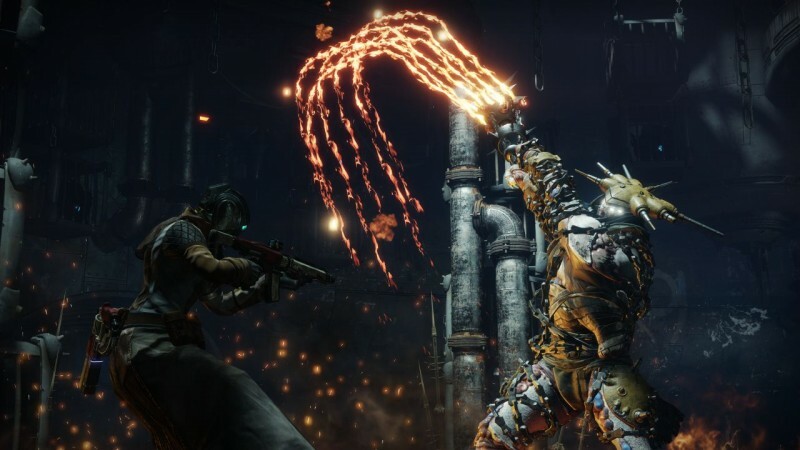 A mad genius who has been changed by his research into the Hive and their dark religion has somehow found a means of exercising control over Hive combatants. As a starving, runty little Dreg, the Mindbender fell into the Moon’s Hellmouth. He’s never spoken an intelligible word since. But his time in the Hive’s domain changed him, gave him a life-long obsession. After years of study, he found a way to carve a throne-world of his own from the Ascendant Realm. WANTED. Little is known about the Baron dubbed “Mindbender”, but he has gained a reputation for unraveling the minds of his enemy. Latest reports reflect a dangerous obsession with the Hive. Mastermind, the Great Crow Heist: Trapped and "brainwashed" Prince Uldren's Crows, using them to feed misinformation and fuel tensions between Earth and the Reef. The Gaspra Slaughter: A system-wide manhunt for his capture led to a trap at Gaspra. 43 Awoken lost. The Haunting of Nemesis: Asteroid 128 Nemesis was a Reef outpost – until the Mindbender made it the site of his earliest experiments. Now the asteroid shifts between our dimension and the Ascendant Realm. A silver-tongued manipulator and con artist with a high opinion of herself, the Trickster has a penchant for deadly sleight-of-hand and prefers to work behind-the-scenes when it comes to the Barons’ operations. She does all she can to stay out of sight and is known for duping others into doing her dirty work. When the Barons must negotiate or trade (which is almost never), they send the Trickster. She is their bard, their spokesman, their envoy – and their first strike. The world of the Trickster is one of a constantly moving chess board to protect the reality that she is in fact a coward with little to no skill in battle. While others honed their ability to fight – Araskes honed her mind. WANTED: There is a reason we know as much as we do about the Barons: Araskes — the Butcher of Bamberga, aka the Slayer of the Psyche Hordes, aka terminus of the Gray Legion, though no record of these crimes have ever been reported. She uses cloaking tech to keep herself from being seen – and leaves deadly surprises where her victims least expect them. The Amethyst Heist / Massacre: To raid the Queen’s mines, the Trickster orchestrated a clever ploy that pitted 12 teams of bounty hunters against one another to create a subterfuge while she cleared out the mine for herself. Please Note: all known aliases appear to be monikers she has given herself – phony legends to precede her wherever she goes as there is no record of these instances having occurred. A silent sadist known for his penchant for docking and tearing Ether generators from the cores of Servitors with his bare hands. His obsession with torturing Servitors is unprecedented in the history of the Eliksni. No one knows why the Hangman was abandoned at birth. Some say his parentage looked in his eyes and knew what he would become. Others say their cruel deed sealed his fate. The Hangman doesn’t just kill his victims – he hurts them. 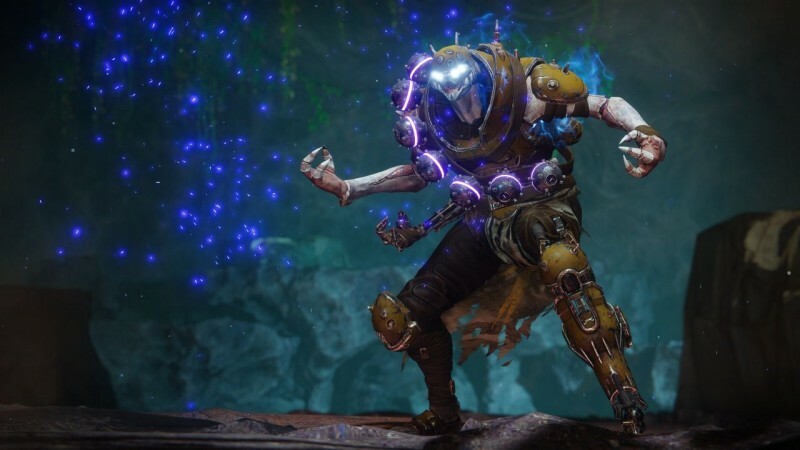 He has a specific hatred for Servitors, the Fallen machines created in the Traveler’s image who enforce the Fallen hierarchies by deciding who eats and who doesn’t. 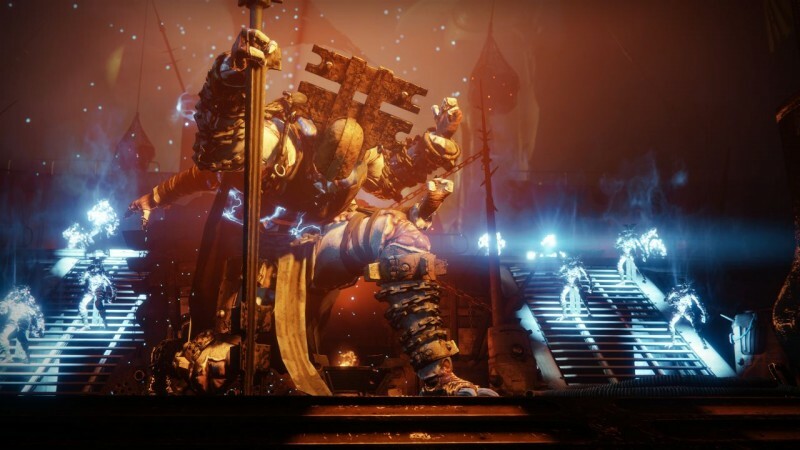 His physical rejection of Eliksni tradition is ultimately what drew him into the Fanatic’s inner circle – but whether it’s for belief or sadistic opportunity has yet to be determined. WANTED: Reports paint this Baron as a depraved executioner. Locally known as the Hangman, he stalks Fallen Servitors and siphons their Ether to keep his fellow Barons overfed and frenzied. Keeper of the Aurora Caves: Known outpost where Reef outlaws and other Fallen denizens of the system gain sustenance and power through his Ether collection – for a bloody price. 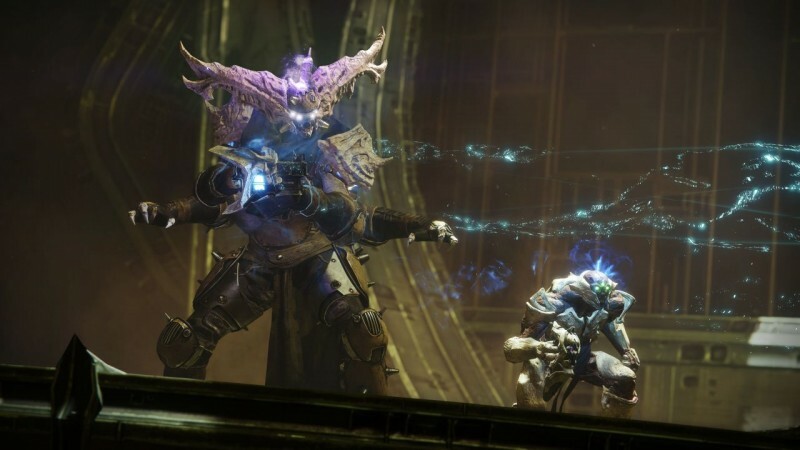 Eradication of the Wolf Servitors: Lead to the extinction of the last of the Fallen House of Wolves. A bombastic thrill-seeker for whom self-preservation is an afterthought, the lunatic known as the Mad Bomber is willing to blow an entire location to smithereens just to kill his target. No one knows where the Mad Bomber came from or how he got here because even he no longer knows. The Mad Bomber now lives simply day-to-day and bomb-to-bomb, constantly chasing the adrenaline high of a fiery explosion. A few too many near-misses and concussive blasts warped whatever was left of his already addled mind. WANTED. All reports on Baron activity show a high number of localized and massive explosives, believed to be the work of the one they call the Mad Bomber. Be aware of your surroundings at all times and prepare for disarmament protocols. Seeder of the Accretion Mines: Thousands of haphazardly strewn mines across the Reef that take Awoken lives daily. 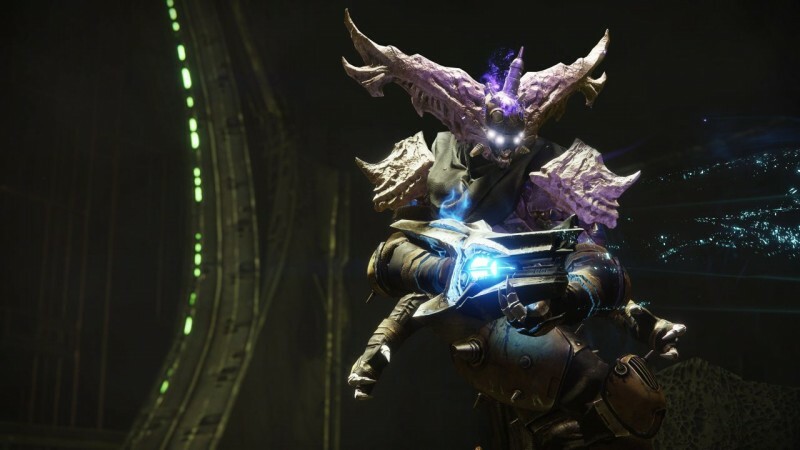 Destroyer of the Origin Libraries: Targeted the last three known vestiges of the Reef Awoken in an effort to assassinate any remaining royalty. An all-seeing sniper who watches his brother Barons’ backs, The Rifleman keeps his targets at a distance, plays real dirty, and never misses his shot. Brilliant, cold, and patient, more than one of the Rifleman’s notches is a Guardian’s ghost. Since the Barons first ganged up, no one has ever managed to get the drop on them. That’s because the Rifleman’s keen and well-tuned cybernetic eye always watches their backs. When not haunting the shadows, he is said to hold down the hills of whatever territory he claims as his own, aided by a surveillance network no one could penetrate. Cross that threshold – and you’re as good as dead. No matter where you hid, his bullet would find you, Guardian or no. WANTED. A sharpshooting assassin-for-hire and original member of the Barons. Legends of his amassed riches have lured many a bounty hunter to challenge the Rifleman – only to find a bullet between their eyes. With the Rifleman, death can come at any second – and from any direction. Shootout at Pallas Falls: Confirmed death of Awoken Paladins Tellos Cir, Loris Pol, and Hollis Eso. Ghost of the Hellrise Canyon: Held domain over the remnants of Ceres by luring interlopers into his field of fire through the use of salvaged holo-tech. Anarchist biker and leader of her own gang of Pike riders, the Rider razes fields and pollutes the air everywhere she and her gang run. She’s a master mechanic who’s taken the Fallen heavy pike and made it better – much, much better. 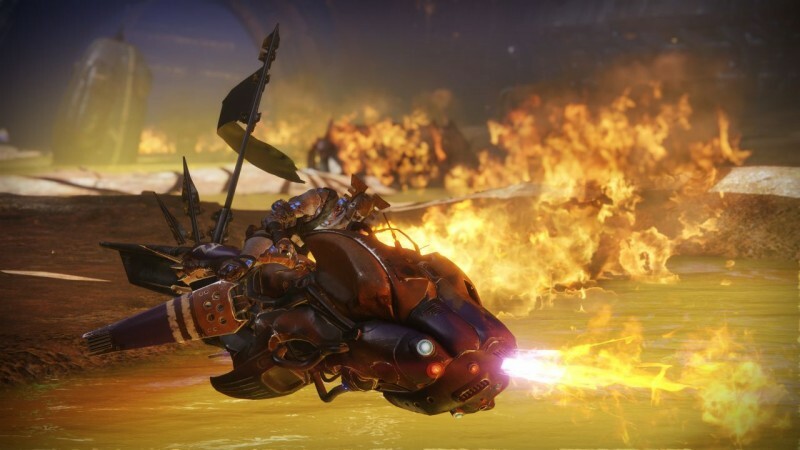 The Rider’s fiercely loyal gang is gathered from the remnants of old houses, outlaws, and lone-wolf nomads. She gave them a pike and a purpose, and in exchange every member is prepared to ride or die for their fearless leader. 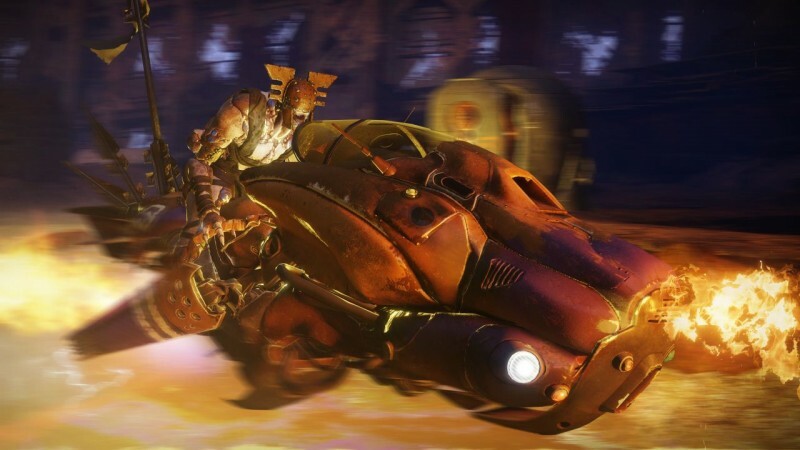 For years the Rider’s gang has been a bane in the Asteroid Belt, seeking to replace any semblance of the hierarchal ranks that failed the Fallen long ago with unrelenting chaos. She breathes nihilism and breeds anarchy. WANTED. Every Baron move begins and ends with the Baron dubbed the Rider. With a cavalry of toxic Pikes, the Rider and her gang usher in a storm of dust and chaos few survive; and if you do, she and her crew always return to the scene of the crime to finish the job. Dead River Run: Eight Awoken outposts destroyed. 489 Awoken dead. 83 allied Fallen encampments infected. Forced the Awoken into the Mayhem Incident with the Barons. Raze of the Ziggurats: Six Techeun temples destroyed. No survivors. 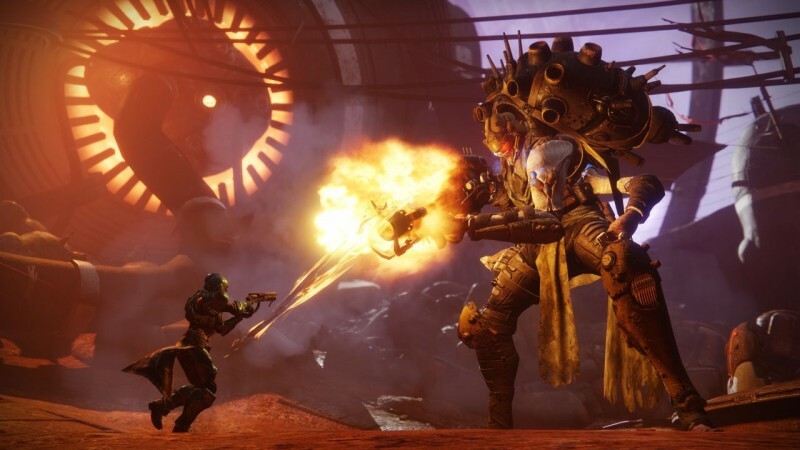 For more on Destiny 2: Forsaken, such as our rapid-fire interview with leads Steve Cotton and Scott Taylor, a look at both of the new locations, a deep dive on the Cerberus +1 Exotic, and more, click on the banner below, and make sure to come back throughout the month for more coverage.